There was once a time when you could only show how much you loved bananas by eating them, but luckily, things have changed. Now, proudly display your passion for the tropical fruit with everything from cool slip-ons to vacation dresses to home décor. 1. Just arrived for spring, T.U.K. 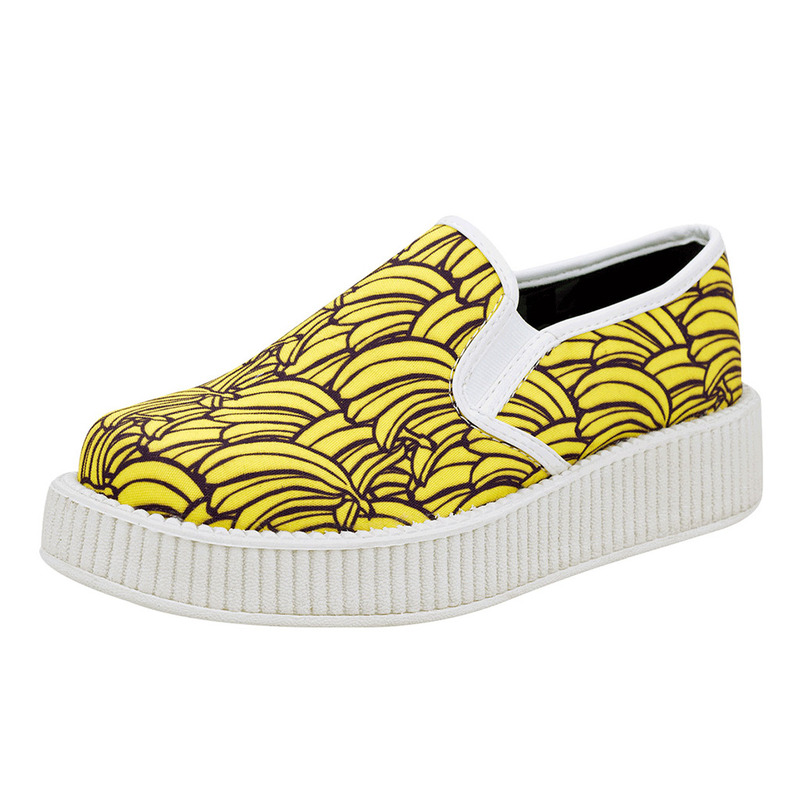 's Banana Creepers (above) add some tropical flair to your winter wardrobe, $85. 2. This Go Bananas pillow from Aelfie is hand-embrodered in India, $60. 3. Give your laptop a pop of color with a banana USB keychain, $14.95. 4. Jonathan Adler's, uhh, statement-making vase is sure to get comments, $68. 5. A silicone banana door stopper adds a bit of whimsy to a normally utilitarian object, $36. 6. This cotton dress from Swedish brand Modekungen has us dreaming of a weekend escape to warmer weather, approximately $60. 7. Finally, a way to stash a banana in your bag without it getting bruised. Banana Bunker, $14 for 2.